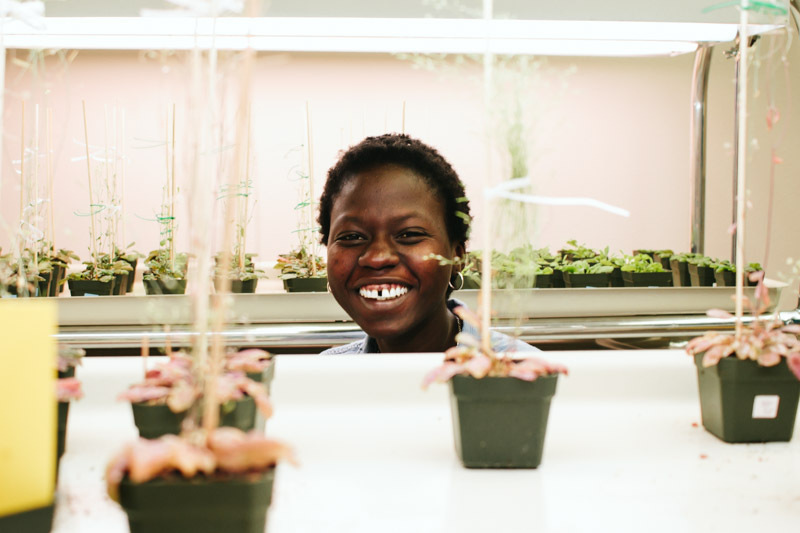 Khadidiatou Sall is working on her PhD through the Molecular & Cellular Biology program with Dr. Hiro Nonogaki in the Department of Horticulture. 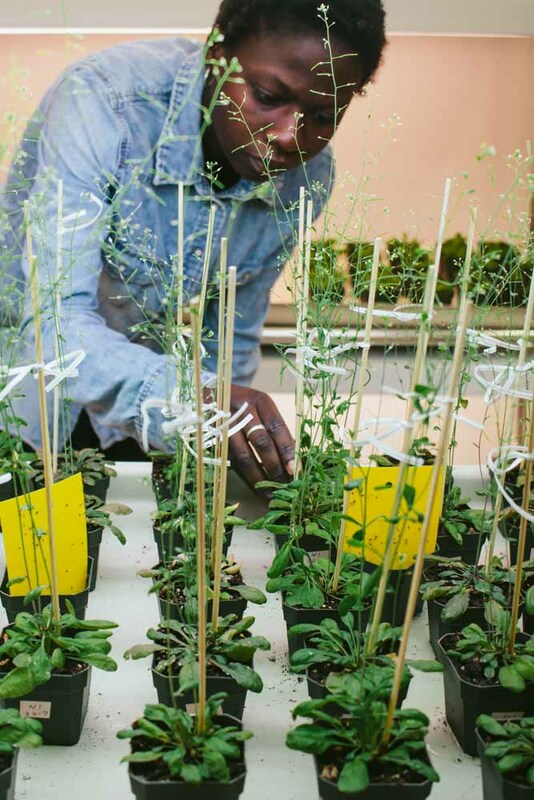 Sall examines the seed biology of Arabidopsis thaliana. The ABA hormone pathway in A. thaliana is responsible for stress and dormancy in plants. By understanding how the ABA pathway is regulated, Sall is able to characterize newly discovered genes and their role in the pathway. Sall examines the ABA pathway at the transcriptional level, and generates gene mutations for functional analysis. Born and raised in Senegal, West Africa, Sall moved to Europe when she was 18 years old to pursue higher education. Sall received her Bachelor's degree in Biology and Master's degree in Molecular Biology & Biochemistry at the Pierre-and-Marie-Curie University in Paris, France. Science heavily influences Sall’s personal life. 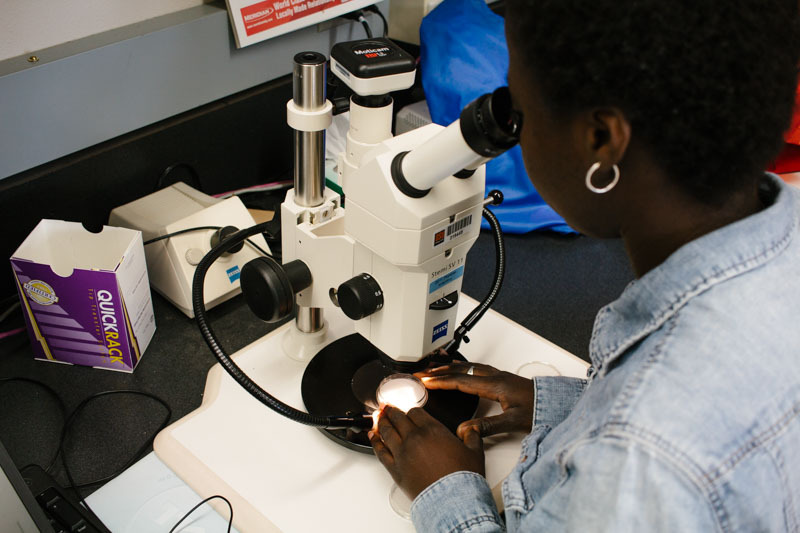 In her free time, Sall promotes science education in her hometown through various STEM organizations. Even during her PhD program, Sall continues to be an educator through making science videos on YouTube for children.